Sold by Triple C. and Fulfilled by Amazon. 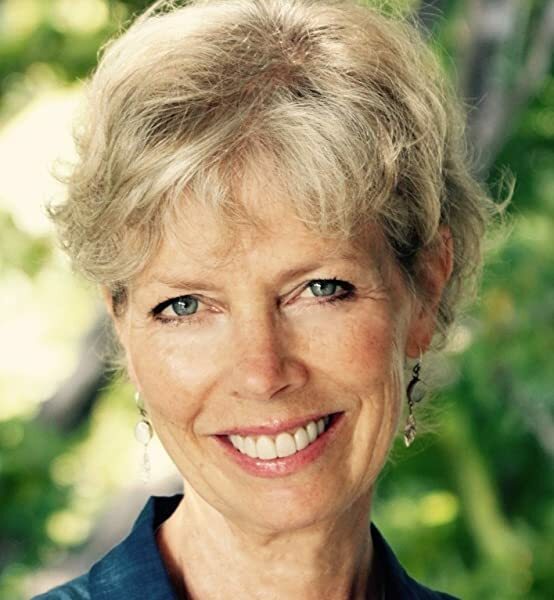 Selected by the award-winning author of the Rabbit novels, fifty-five of the most important pieces of short fiction of the twentieth century feature masterworks by Ernest Hemingway, William Faulkner, Willa Cather, F. Scott Fitzgerald, Eudora Welty, Philip Roth, Joyce Carol Oates, and other notable writers. 75,000 first printing. At age 67, the perennially youthful John Updike may at last qualify as something of an elder statesman. But the Best American Short Stories annual--whose greatest hits package Updike has now assembled--is almost a generation older, having commenced publication in 1915. This staying power allows the hefty Best American Short Stories of the Century to perform double duty. It is, on the one hand, a priceless compendium of American manners and morals--a decade-by-decade survey of how we lived then, and how we live now. Yet Updike very consciously avoided the sociological angle in making his selection. "I tried not to select stories because they illustrated a theme or portion of the national experience," he writes in his introduction, "but because they struck me as lively, beautiful, believable, and, in the human news they brought, important." In this he succeeded: the 55 fictions that made the grade are most notable for their human (rather than merely historical) interest. The task had to be daunting, selecting the 55 stories that grace this volume. The title alone is daunting: the best? But the riches containedAincluding a foreword by Kenison and a deft introduction from UpdikeAprove the title accurate. Consider the resources mined: 2000 stories anthologized in annual best-of volumes since 1915. Although certain notable story writers, John O'Hara for one, never made it into the series and others who did have been crowded out of this volume, the stories excavated and displayed herein are gems. Often these are the gems one would expectAsuch as John Cheever's balance of the magical and the sinister in "The Country Husband," about an inappropriate desire that floods a man after a plane crash. What story captures better than "Greenleaf" Flannery O'Connor's affrontery before Protestantism and her vision of unearned grace? And would readers expect anything less of Dorothy Parker than "Here We Are," a scathing yet poignant depiction of a newly married couple bickering like old retirees? Indeed, the volume includes such signature stories as Joyce Carol Oates's "Where Are You Going, where Have You Been?," Cynthia Ozick's "The Shawl," Raymond Carver's "Where I'm Calling From" and Tim O'Brien's "The Things They Carried." But some stories here by the well-known are not necessarily the best known. Fitzgerald is represented not by "Babylon Revisited" but by "Crazy Sunday," about the perilous life of a screenwriter employed at a director's whim. The transient world captured in Eudora Welty's "The Hitch-Hikers" seems far removed from the homier gardens, parlors, and post offices familiar from her other fiction. And readers can be grateful that Updike chose not "The Magic Barrel" but Bernard Malamud's "The German Refugee," a tale that ends with a dark if O. Henry-like reversal. In Kenison's words, these stories are "an invaluable record of our century." The book opens with Benjamin Rosenblatt's "Zelig," a tale of an immigrant who longs against reason to return to Russia. Immigration is a recurring theme, picked up again in Alexander Godin's sadly ironic "My Dead Brother Comes to America," And that we are nearly all descendants of immigrants is Aas apparent in Willa Cather's "Double Birthday" or Saul Bellow's "A Silver Dish" as in Gish Jen's bitterly funny "Birthmates," about a Chinese-American as trapped by his self-definition as by the racism of others. In his introduction, Updike writes, "The American experience... has been brutal and hard." The stories bear this out. In Elizabeth Bishop's "The Farmer's Children," two boys freeze protecting their father's equipment, while in Grace Stone Coates's lovely "Wild Plums," a young girl is forbidden to gather fruit with a family her mother deems socially inferior. Life on this continent may be brutal, but this extraordinary collection offers up dazzling writing that salves the wounds, as well as stories full of the pleasures of life. The short story is arguably the American contribution to literary form, developed in the work of Hawthorne, Poe, Melville, Crane and others in the 19th century to flourish during the 20th century in the work of Bellow, Carver, Cather, Faulkner, Fitzgerald, Hemingway, Malamud, Munro, O’Connor, Proulx, Roth, Updike, Welty and others. An anthology of the best American stories published during the year was first published in 1915 and continues today. In the earlier years the dedicated editor, Edward J. O’Brien, endeavored to read every short story published in America and select only the finest, and this custom has been continued over the years. Now, one of the finest short story writers of the 20th century, John Updike, with the assistance of Katrina Kenison, has read all the stories in the 85 volumes of Best American Short Stories and selected the cream of the crop over the century for this jewel of American short fiction. I have read all the stories as they are printed, in chronological order, and thoroughly enjoyed them all, but there are a few which I found particularly striking: 1929 Willa Catha Double Birthday and Grace Stone Wild Plums;1944 Vladimir Nabokov That in Aleppo Once…; 1951 Tennessee Williams The Resemblance Between a Violin Case and a Coffine; 1955 John Cheever The Country Husband; 1957 Flannery O’Connor Greenleaf; 1960 Lawrence Sargent Hall The Ledge; and Phillip Roth Defender of the Faith/; 1979 Saul Bellow A Silver Dish; 1993 Thom Jones I Want to Live! ; 1998 Annie Proulx The Half-Skinned Steer. Pretentious stories embraced by pretentious literary people. As someone who adores the short story, I must say this is the worst anthology I've read in some 40 years of immersion into the art. Trite tropes, cliched, redundant themes and narratives, just boring in a way I seldom see in anthologies. If you want a good anthology get "Short Story Masterpieces." It's been around a while so its stories have withstood the time test and include such worthies as Fitzgerald's "Winter Dreams," Shaw's "the 80-Yard Run," O'Connor's "My Oedipus Complex," and Carson McCullers' beautiful "The Sojourner." Good stories enlighten us, make us more tolerant and fair-minded, and offer sensitive insights into the lives of others. None of which this dog of an anthology does. Solely due to the way this book was assembled, it cannot live up to its title. This book is not an assemblage of the best short stories from the entire body of 20th century American literature; rather, this book is an anthology of the best stories that happened to have appeared in the annual Best American Short Story volumes. So, to make it into this book, a story would have had to be recognized when it was written as being one of the best of that year, as chosen by a single editor/reader. I enjoy reading short stories, and every year I purchase both the O. Henry Prize Stories and the Best American Short Stories. When I first did this, I was amazed at how little overlap there is between 20 stories chosen for each anthology (usually, there are only one or two stories in common, and typically the story chosen by O. Henry as the best of the year does not appear in the other anthology). So once again we have evidence that beauty (and art and subjective opinions such as "best") are in the eye of the beholder. So, can John Updike's selections be debated? Undoubtedly; every reader of this anthology will be able to cite stories and authors that they believe should have been included (as for me, I was most disappointed by the absence of Ray Bradbury). But is this anthology worth reading? Absolutely! Reading this anthology cover-to-cover is like traveling through time, and provides an enriching perspective on the history of the 20th century in America. From the hardscrabble existence of immigrants and farmers, to the Depression, to the problems of racism, to the war, to the ennui that exists in a time of relative plenty, these stories do cover the broad American experience of the past century. Furthermore (aside from Ray Bradbury), many of our best authors are represented, so this book is a good way to get introduced to authors that one has heard about but not read before. It's surprising to me that short story anthologies aren't more popular, given our busy society. A well written short story entertains, conveys a message, teaches something about the human condition, and can be enjoyed in one sitting, such as a short plane or train ride. I would highly recommend this anthology as a way for short story novices to get started, and then one can graduate to the annual O. Henry and Best American Short Story anthologies. 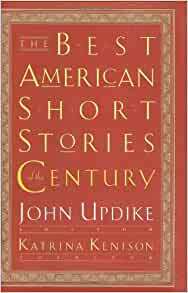 This Best American Short Stories Collection from the last Century, edited by John Updike, is everything it promises to be. Everybody has different taste in short stories and some will wonder; why was this included? Why wasn't this included? But overall, I can't imagine doing a better job on such a momentous task. All of the greats are in there, some better known, some lesser known, but you can spend a formidable amount of your time over several years reading and studying this collection, This was a great, good deed of John Updike and those who helped him to put together such a collection.I give this book the highest possible recommendation! I have read this series for decades, so I have read many of these stories. Still, it's nice to have them selected by one of the finest writers of American literature, all in one volume. To reduce the boredom of exercise I decided to listen to audio books. Short stories work well as I'm inclined to keep moving until the end. This audio CD collection is very good and really well done. Many of the stories are read by their authors. The sound is crisp and clean, and (with rare exception) the diction fluid and natural. The stories themselves are varied and high-quality. One thing to note, though, is that the audio version does not contain all the stories from the print version. That may seem obvious, but if you are expecting to hear one or anther of the stories from the book, know that the CD set only includes 22 stories. Really looking forward to diving into these stories. Only had time for a couple so far. Great book. A solid collection of American short stories, most of whom were previously unknown to me. Well worth the price of admission.